These professional quality tools are the last ones you'll ever have to buy! Tool blades are made of high alloy chrome-vanadium-molybendum steel with precise tolerance black oxide tips. Comfortable, tapered handles are molded to blades so they'll never come loose the way cheaper, glued on copies can. You'll also get added control with the finger tip rotation cup at the back end. All Wiha tools are made in Germany and guaranteed for life. 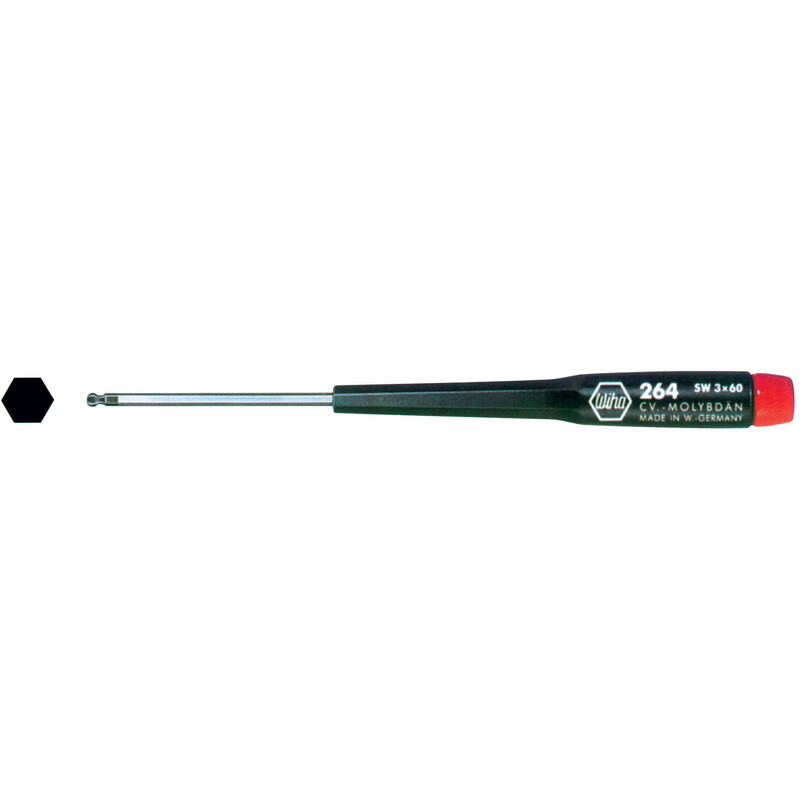 Ballpoint Hex Drivers let you drive hex head cap screws, button head screws and set screws at an angle up to 25 degrees off-center. 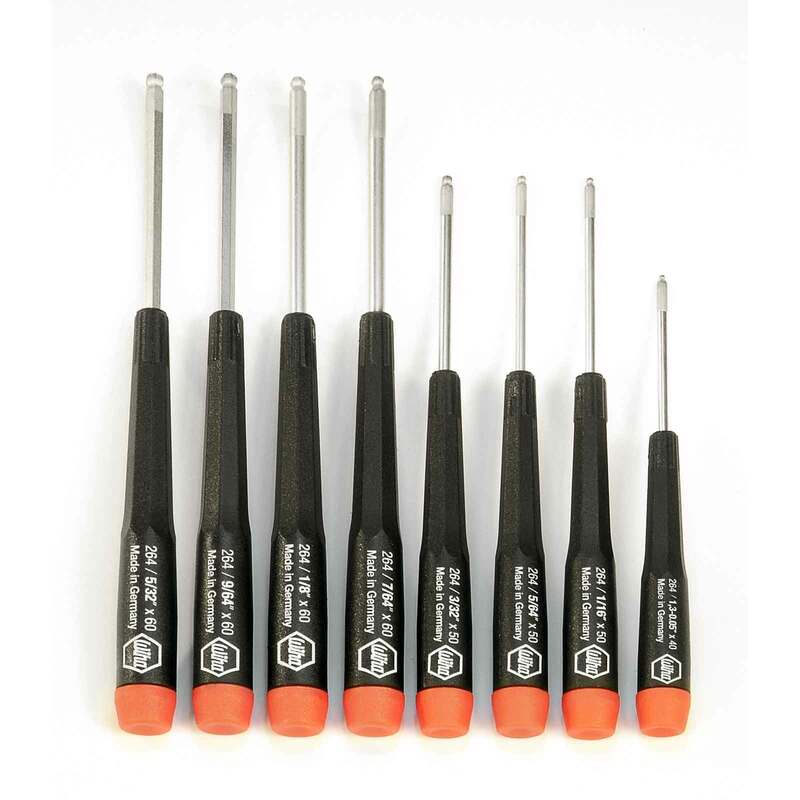 8-piece Ballpoint Hex Driver Inch Set includes: Sizes .050, 1/16, 5/64, 3/32, 7/64, 1/8, 9/64, and 5/32 inch; with 1-9/16 inch to 2-3/8 inch long blades.